I wrote this poem several years ago. I pray it touches your heart and reminds you of the love God has for you. The whisper of this voice. I’ve watched you from the start. I need a Savior, this I know. Your sins have been forgiven. I need you so much now. A life that glorifies me. How do I remain strong? to every soul on earth. In Eternity that lasts forever. to share this message with me. If the lamp of my life has been burned out for Thee. I could finally see the wreck from a distance; cars were backed up for miles on this long and curvy one-lane road and when the scene first appeared at the base of a Virginia mountain-side, I gasped–not at the sight but as I noticed the mile mark—3-1-6. Almost two years ago I had made the decision I was going to move. God had been giving me confirming messages through prayer and scripture and by this time it wasn’t a matter of if…but when. My pending thoughts on moving were a conversation between me and God so when I eventually revealed the news to my friends, family and business partners (about 6 months later), conflicting opinions created controversy. It had been a tough year. No, I take that back. It had been a tough three years; periods filled with beautiful peaks and very deep, dark valleys. Pain. Fear. Loneliness. Defeat. The valleys seemed to last so much longer than the peaks and it wasn’t as if moving to a new location would change that reality; however, I believed that the new scenery would help me to see the beauty even in the valley. Needless to say, I wanted a fresh start–somewhere else. I think so many people are afraid of change because it’s so unpredictable. But isn’t life unpredictable? It doesn’t matter if change happens to us or because of us, it will still happen. I decided that if change was going to happen to me anyway, I was going to embrace it and in fact, create it. A current and prior health train-wreck and financial train-wreck had left me very hopeless for months. Just because we know Jesus and have a relationship with Him, doesn’t mean we are immune to negative thoughts (or the enemy’s attacks). Actually, I’ve come to realize that the bigger the faith, the bigger the target. So watch your back and be prepared for anything. And instead of delaying the inevitable (change happening to me-as a result of circumstances), I decided to be proactive—and hoped to create something positive from it. So last June of 2014 I sold and gave away all my belongings (by that point it was just meaningless baggage I wanted to leave behind), moved into a vacant condo (that a friend graciously let me stay in during my transition in Wisconsin) – with nothing but the necessities, and I began my search for a new “home.” I vaguely give specifics of what was happening during that time because the details aren’t important for this particular article. However, please don’t misinterpret the message because the decisions, circumstances and changes were far from easy. Change is never easy. I didn’t know exactly what was going to happen next, I didn’t even have a plan (not recommended) but surprisingly I was calm and at peace with whatever it would be. 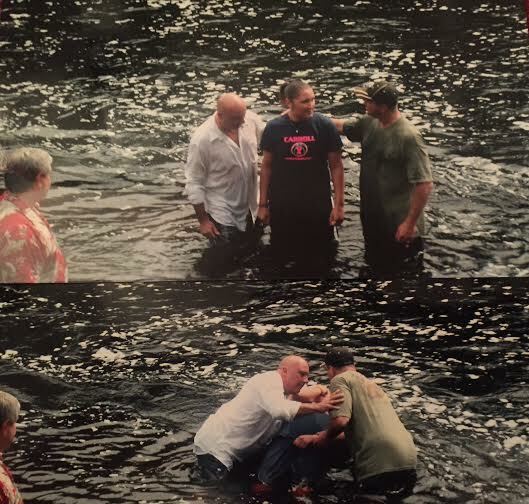 Now, being eight months into this “fresh start” in North Carolina – a location that had never even crossed my mind when I first thought of moving, but now can’t imagine being anywhere else… I can finally look back and see God’s hand in ALL of it! Praise be to HIM! I think sometimes we mistake the challenges God gives us as punishment or persecution, rather than opportunity. I spent a lot of time being mad at God because of where my life was at – and never really looking inward at myself and the opportunities for learning or growing from those challenges. Lesson repeated until lesson learned. UGH! I lacked faith. Sure, from a distance it may have appeared that I was faithful, trusting and obedient. But God knows our hearts. And admittedly, my heart was timid, frustrated and scared; and my inaction proved it. It’s a humbling experience when God’s grace meets our pride (and selfishness) and we finally realize how helpless we are without Him. We’re usually faced with two choices–continue doing the same things as we were – and it will usually get worse, or surrendering and giving Him the power to control our destiny (or destination in my case) – and it will usually get better. I knew I had to start walking in faith and asking Him to show me the way, lead my steps and pave a path…if I wanted things to get better. ...But, it required me to take action, to take the first step! The irony of it all was that the verses that kept popping up in my Bible reading prior to the move all had the numbers 3-1-6 in them! 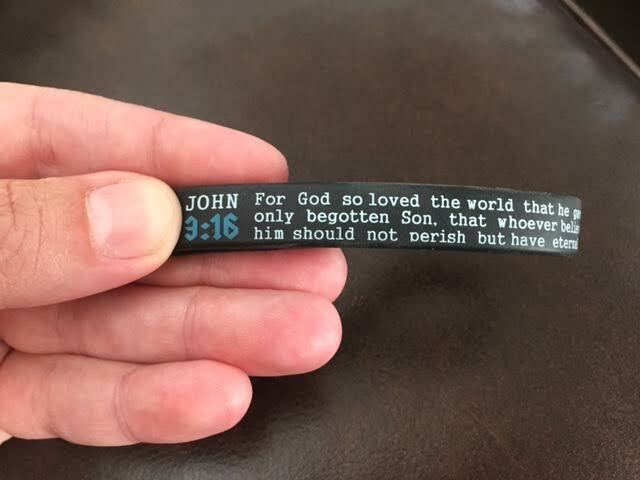 Even the bracelet that I wear today as I write this post is the well known verse John 3:16. A life-transforming move to the South may not be in your future (like it was for me) but I pray that you embrace change, walk by faith and trust Jesus who will lead you towards an amazing “final-destination” — in Heaven. You never see the hard days in a photo album. This Easter was unlike any other that I have experienced. On Good Friday, I attended an evening service at Colonial Baptist Church in Cary, NC (my new home state and home church) that brought me to an uncontrollable and emotional breaking point. I have never been more present or have experienced the Holy Spirit’s presence in such a way as was shared through the message and music of that evening. The tears continued to roll down my cheeks as I drove home in silence thinking about my Savior’s crucifixion on the cross that evening over 2,000 years ago. Was the overwhelming emotion because I imagined how alone He must have felt during those final hours? Was it because my heart was broken at the thought of His pain and those who loved Him and had watched Him suffer? (Thinking about the people who I love and are suffering)… Or was it because I felt guilty that He had endured so much for someone as unworthy as me. Whatever the cause, it’s irrelevant, and “thank you Jesus” were the only prayers I could repeat as my heart filled with gratitude for what He had done on my behalf. I reflected on years past when Easter was not about Jesus, it was about a bunny. For nearly 21 years I did not attend a church, nor did I understand why Easter was even celebrated. It wasn’t that I didn’t want to know…I was just ignorant to the Truth. You see, like most families my parents would hide a fully stuffed and decorated Easter basket for my brother and I to look for on Easter morning, then later in the day my family would get together and we would eat a bunch of candy, feast over a big meal and fellowship with one another – joyously partaking in the celebration of _________________ (What??) (…a beautiful Spring day?…Sunday family time?…a yellow bunny that hides baskets and doesn’t actually exist?) 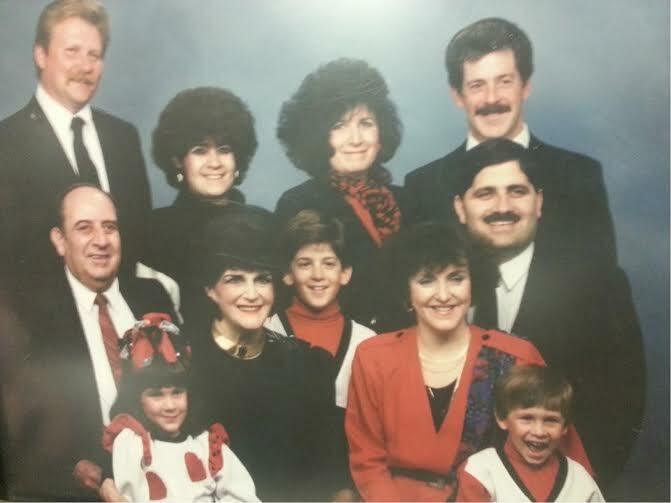 Sure, I have great memories of Easter from years past, but were they really “Easter” memories or just “family” memories that happened to fall on Easter Sunday? This Easter was quite different though. 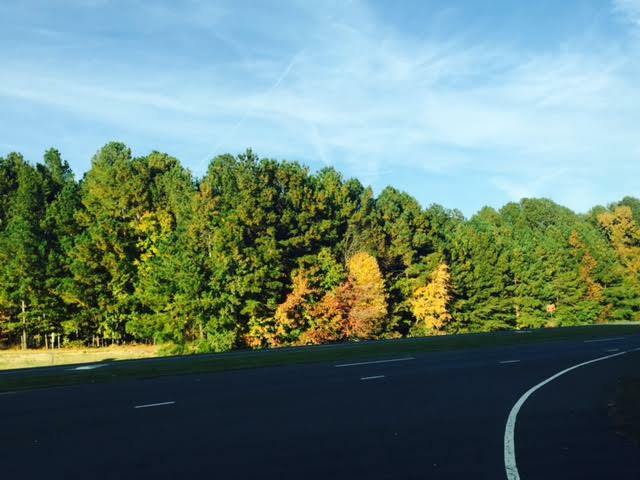 I moved to North Carolina knowing that things would be much different during the holidays and would not leave the same kind of “family” memories as my childhood remembers. But, I wouldn’t change any of it because I now celebrate the true meaning of the day. When I called my mom after the morning church service, she reminded me of how different it is not having anyone to celebrate with anymore. To which I thought, are you more sad about being alone this year or not understanding the real reason for the holday? Truth is, if you don’t know WHY you are celebrating, it doesn’t matter how big your family is, or what traditions you have, there really is no point. 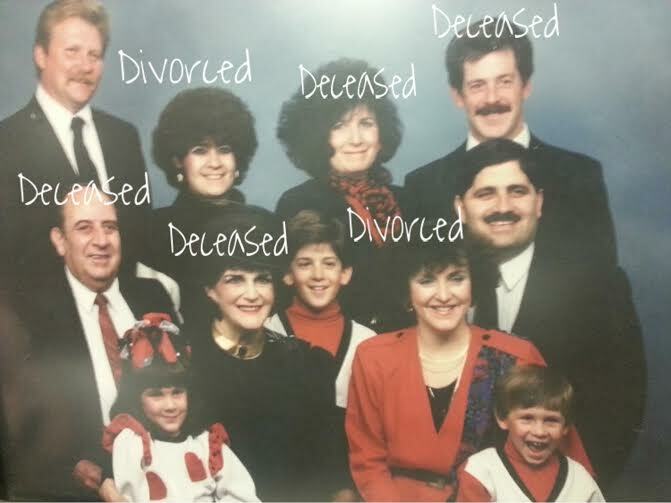 But, I empathized with her because I, too, have a heart of sadness in the passage of time that has dramatically distorted the image of my family photo. It reminds me just how temporary this life truly is and how much of it is NOT in our control. So many things happen with the passage of time that, of course, we can’t possibly predict how things will turn out. But, there is one thing that remains unchanged and even outlasts the passage of time…and that is the hope we have in Jesus Christ. I went for an afternoon walk by myself after Easter church service and clenched the cross around my neck thanking Jesus for the hope He has given me through His death and resurrection. Because, despite the pain and sadness of my past and even the loneliness that easily consumes me when I stray, Christ always manages to fill my heart with joy as I think about a future with Him. That is WHY I celebrate. That is why I continue to smile through the hard times. That is why I can accept the reality of my current family photo and still be grateful for my life as I celebrate Him. Because Jesus reminds me (especially on days that are meant for Him) that it’s not about ME! And the more I live that truth and meditate on that hope, the easier it is to surrender my past, accept my present and live a life that will glorify Him for my future! I pray for you who have a similar story and struggle with your faith…because I have been there. I pray for you who are alone during the holidays and don’t feel the presence of God at your side…because I have been there. I pray for you who are going through hard times right now and don’t know the hope that a future with Christ holds…because I have been there. And I want to encourage you beyond my own experiences because, it’s not about me. Christ has been there too….He overcame every obstacle that we will face in this life. He even overcame the scariest and most permanent obstacle of all….death. That is why we celebrate Easter! He overcame it and you can too! Time will continue to pass, our lives will continue to change quickly and dramatically, our family photos will look nothing like they used to, but one thing will remain the same, unchanged, always – and that is the hope we have in a life with Jesus when we use our life to glorify Him. And if He is all we are left with in the end, then He is all we really need. I LOVE to go fishing. In fact, when I moved to the South I left several items behind and even sold the majority of my belongings; but my fishing pole was not one of them. Since I was born I’ve had the “fisher(wo)man’s gene” in my blood. Both of my grandfathers were die-hard fishermen and I like to refer to my dad as the “amateur-professional” who would fish day and night all year round if the bitter cold Minnesota winters allowed it. For years, my dad and I and good friends Jessica and Dave would all go fishing over Father’s Day weekend. We loved the experience of sitting on the boat from sun-up to sun-down reading, listening to country music, talking and CATCHING fish! 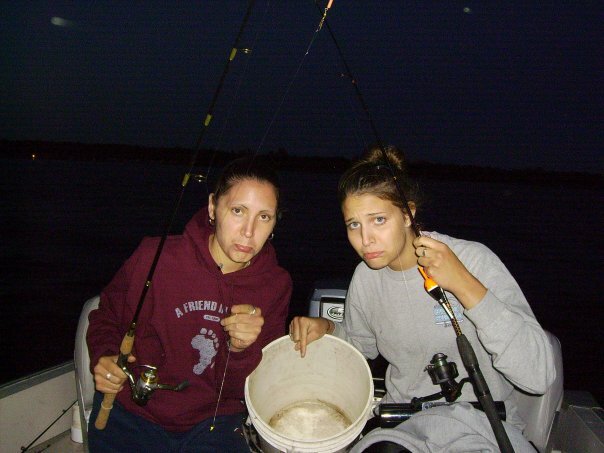 We would make it interesting most days and throw in friendly competitions: Who caught the most fish? Who caught the biggest fish? Who caught the last fish? The winners didn’t have to clean the fish, cook or do anything the rest of the night. After 12 or more hours on the water in the hot sun, doing nothing sounded amazing! Unfortunately, I never knew what that felt like. 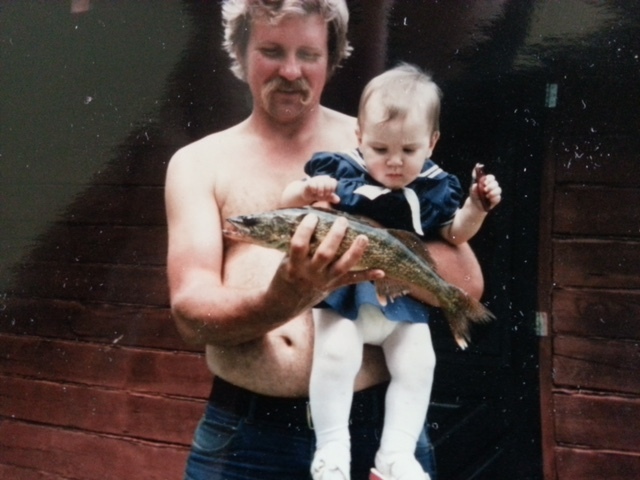 My dad influenced me to love fishing; however, I must have missed the lessons on catching. No matter how determined I was (changing hooks/lures, changing poles, changing bait, moving to different ends of the boat, drifting, anchored…didn’t matter), I stunk at catching! 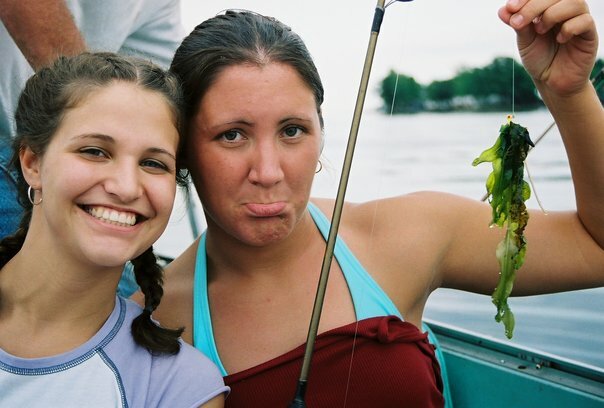 My friend Jessica would fall asleep with a book in one hand and her pole in the other and she would get a bite…and then wake up and the fish would be on her hook! It always made me laugh!…as I sat there struggling with my seaweed covered lures. I remember asking my dad on several occasions what I was doing wrong. He would say “give me your pole…” and he would teach me the proper way to set the hook, feel for a bite, etc. I remember one time he was actually showing me a new trick he learned and caught a fish right there during the lesson. Most of the time, though, I recall not listening even when he told me to do something. 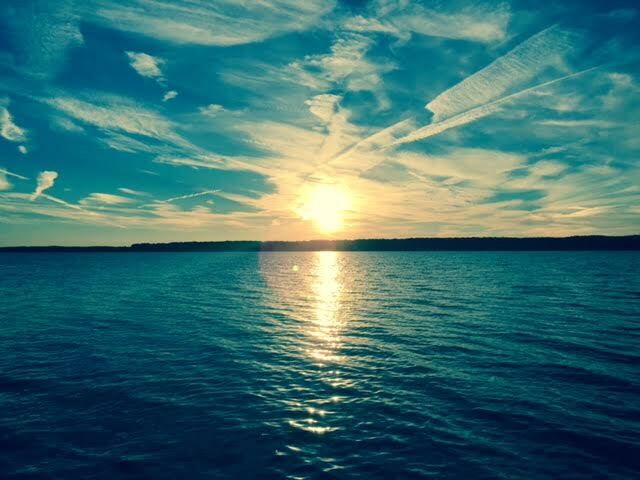 For example, he would say, “they are biting on this side of the boat, come over here and sit in my spot” …and I would stay right where I was – pretending not to hear him or respond by saying, “Okay, one minute.”…and I would never move (because it was more comfortable or because I thought my spot was better). “Because I said so!” Words that were easy for my dad to use in teachable moments or to discipline or even to protect. But such challenging words for my conflicting and stubborn heart to obey. One day Jesus said those words to Peter and John. Not exactly word for word, but that’s what He meant. Peter and John had been on the open sea casting their ropes and hauling in empty nets all night. Other than algae, seaweed, and a few bits of trash, their nets had brought in nothing. No fish. No income. No food to feed the hungry mouths that depended on them back at home. As the sun made its way over the horizon, the discouraged men washed their nets on the shore. Then Jesus, the carpenter and teacher, followed by a hungry crowd, asked to use their boat as a platform. He got in Peter’s boat, pushed away from the shore a bit, and began to teach the crowds sitting along the beach. When He had finished teaching, He turned to Peter. “Put out into deep water, and let down the nets for a catch” (Luke 5:4). Peter and John rowed away from the shore and hoisted the freshly cleaned nets one more time. Just then, the God of the universe who created the fish and the seas whistled for the schools of fish to head for the nets (that’s how I imagine it!) 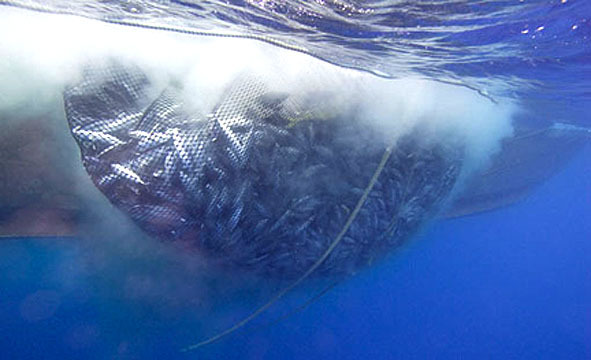 The fish filled the nets like teenagers pouring into a rock concert. Can you just imagine the size of their eyes, the drop of their jaws, the strain of their muscles as they pulled in such a blessing? Not only were Peter and John blessed because of their obedience, they called their friends in to enjoy their bounty as well. That was the real catch of the day. How silly we are to think that the true blessing was simply financial gain or instant gratification in those moments. Peter had financial gain with this incredible catch, and yet he left it all behind to follow the One who pursued and caught his heart. “Put out into the deep water, and let down the nets for a catch.” (It was a simple request—nothing earthshattering). Peter had no idea that obeying Jesus would lead to such an all-encompassing life-changing experience. Our little acts of obedience may do the same. What “nets” do we need to let down in order to catch the blessings that God has coming? Don’t look for the seemingly big showy acts of obedience to get your name in heavenly lights. People might be impressed, but God won’t be. Respond to His daily nudges and obey humbly as you let down your nets faithfully into the deep unknown waters of life. Has anyone ever thought this? …I wish I could change the status of my life like I change the settings on my computer or my smart phone. When my grandma was dying she quickly started to fade into dependence on others (and God). In her final weeks and days, she lost her independence and her ability to take care of herself, but she never lost her spirit. My grandma was always so strong and independent; she rarely asked for help and even lived alone for an additional five years after my grandfather had passed away…without transportation, technology or a “restart” button on her life. She enjoyed quality time with friends and family (especially with me! 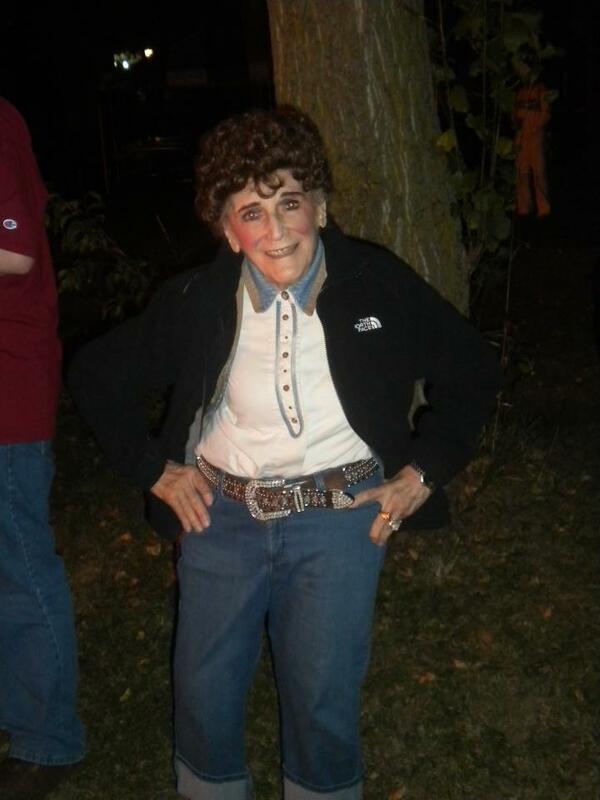 ), loved to cook, sing, dance, read her Bible, pray and bring joy to others. I just remember sitting there holding her hands, looking into her eyes, trying to embed the feeling and image of this angel woman who changed my life, into my heart. 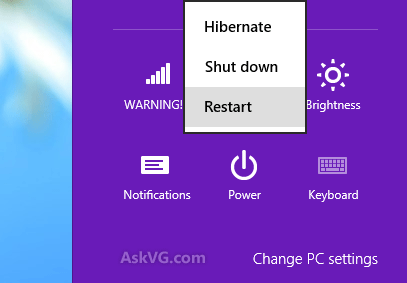 If there was ever a time that someone might want to hit the “restart” button on their life, I’d think it would be at the end. And as I reflect on this conversation with my grandma, I am convicted and reminded that no matter how much I sometimes want to “hibernate” or “shut down” or hit “restart” on my life, that I am just wasting time being ungrateful for the life God has given me. I often wonder if I was asked those same questions would I respond in the same manner. Would I answer with a grateful heart or a regretful heart? Would words of wisdom flow from my tongue or a sense of weariness flood from my heart? God didn’t give us buttons to push in order to change our life, He loves us so much that He gave us His Son instead. We both smiled with tears in our eyes. She knew that I knew she would be okay. Selfishly, I didn’t want her to go. But, I am grateful that she had a relationship with Jesus Christ, who saved her life for all of eternity. Because of Him, I will get to see her again someday. 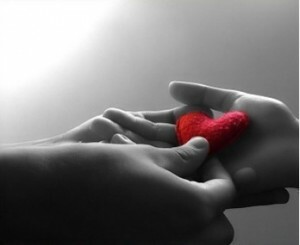 Don’t pray for God to change your situation or your status, pray for God to change your heart…to a heart of gratitude. Have you ever been in a conversation with someone who loved to complain about their problems? I have. In fact, I have been on the giving and receiving end many times. Often, our natural tendency is to think negatively about ourselves. Negative self-talk is nothing more than the enemy’s voice entering our subconscious mind in order to defeat us. When we focus only on our problems, we willingly let the devil win over God. I heard from a friend this weekend at the LIFE Leadership summit that when we complain, we commit over 150 sins. This changed my perspective tremendously realizing that when I complain, I transparently expose my ingratitude (to others). Ugh! …A tough reality to swallow. One of my favorite quotes that reminds me of this topic is by Terri Brady: “Suffering is not a competition.” So many people wear their problems on their sleeve like a badge of honor. The 2015 leadership summit has been specifically targeted at an audience who has experienced deep adversity but who have chosen to overcome any obstacles in order to claim their victory. I believe that God gives his biggest battles to his strongest soldiers and the iWireless Arena in Moline, IL is filled with some of the strongest men and women that I know. But, even the strongest among us fall down sometimes. I love that the theme of the weekend is directed at leaders who understand the uniform of leadership is thick skin (Chris Brady) and the armor for handling adversity is knowing and pursuing your purpose. LIFE coach George Guzzardo said last night that “People without a purpose will never understand what a person with a purpose is doing.” God is bigger than all of our struggles and problems and has equipped each and every one of us to overcome our challenges in order to fulfill our destiny. There is no greater feeling in the world than experiencing a victory after you have fallen. Everyone has a pending victory in their future; and everyone experiences setbacks. The question we need to ask ourselves is, will we have the courage to continually overcome setbacks and claim the victory that awaits us? God is so amazing! I often find myself reflecting on my current path as a means to understand how God is able to use me in certain situations. When I moved down to North Carolina a few months ago I never anticipated being on the path I am currently on – in an immeasurably good way. The friendships I have been able to forge in such a short amount of time leaves me feeling grateful each night my head hits the pillow. One of the surprising friendships I have begun to develop over the past couple of months is with a 14 year old boy who has Autism. Each morning I am with him I am reminded of just how well God knows me. He couldn’t have picked a more perfect child to put in my path. This little boy has an insatiable passion for music – you will usually catch us jamming out to George Straight, Chris Young or Beethovan (in that order! )…but our favorite being Amazing Grace by Alabama…as we worship the King and shout “Amen” and “Hallelujah” (arms reaching to the sky) because we both love the Lord! This little boy also loves to hug (another favorite of mine!) 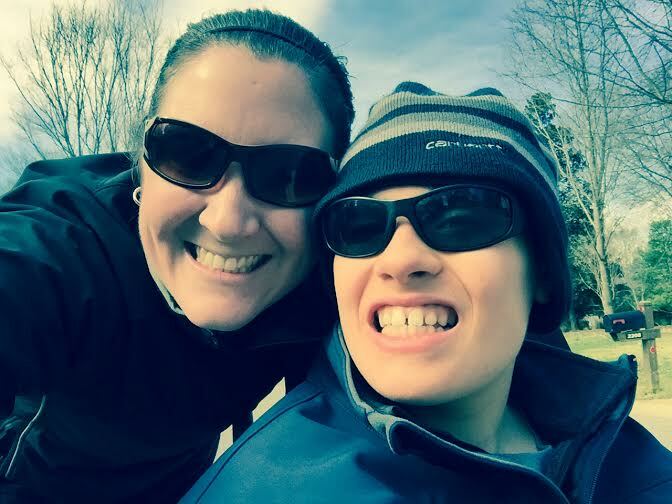 While his words are limited, it is not uncommon to hear him whisper, “I need a hug…” with my response always being, “how did you know I needed one too?” He is one of the most loving and caring teenagers I have ever met. While I could go on and on about how much this little boy has blessed me, the greatest reward I receive each day by serving him is encouragement. In fact, if you were a fly on the wall during my sessions with him, you would hear these phrases quite frequently and directed towards a specific task. “I am so proud of you for eating three bites of your turkey! You are such a big boy! !” (He hates turkey lol). I used to think that I didn’t need encouragement – that I was “self-motivated.” HA! That is funny! We all need encouragement. But, children with autism REQUIRE it! It helps them stay focused and on task and even more important, it reminds them just how special and amazing they truly are! Because of the frequency of my encouraging words, I often find myself being more encouraged each time I encourage him. Why? Because it’s sincere, it’s from my heart and I mean it. I never encourage him without a smile on my face. Again you ask, why? Because he will think it’s fake. Just like a typically developed person, kids with autism are very perceptive to facial expressions and feelings. They recognize when you hurt, when you are angry, when you are sad and….when you don’t care. But I digress. The point is, the more we encourage, the more we are encouraged! And it’s more than words that encourage; it’s how we say it and how the other person responds to what we say. Are they responding positively or negatively? When I work with him, never do I hear the words “I am so proud of you Ms. Kristen.” But yet, every day I leave him feeling more encouraged than when I started…EVEN on the bad days; I don’t need him to use words to encourage me. It’s what I like to call “unspoken encouragement.” And it’s really easy to receive too…all we have to do is give! No need to wonder if the other person really thinks you are amazing. You will know it but how they respond and how it makes you feel when they accomplish what you encouraged them to do…even if it is just eating three bites of a food they don’t like or reading a book from “beginning to end.” In fact, unspoken encouragement is about the only type of encouragement I know of that you can receive and be in complete control of. Encourage often and you too will receive encouragement. It is easy to get trapped into survival mode these days. We can all probably think of several moments, just this past year, when the days and weeks passed as quickly as a clock in the night (Psalm 90:4). When time seems to slip through our fingers like water and dries up with the first gust of wind that blows and the moment we turn our head the “day” has already disappeared and (WOW! )…another year has passed. Admittedly, 2014 was filled with days like these and this mere recollection leaves me wanting to turn back time. But I can’t. And I am okay with that. There is something very freeing knowing that the past is gone. I used to consume myself with ‘what was’ rather than rejoice with ‘what is’ and ‘what will be.’ Starting a new year can metaphorically feel like a starting over period. Kind of like the scripture says in 2 Corinthians 5:17, “Therefore if anyone is in Christ, he is a new creation. The old things have passed away. Behold, all things have become new.” How perfectly inspiring to know that God gives us an opportunity each and every day to ‘become new’ because we are in Christ. As I was reflecting on this past year and thinking about the new year of 2015, a resolution was not the solution that God challenged me with this morning. Yeah, I could probably set a goal to lose a few pounds or save money to buy a new car, etc. But who is that serving? (ME)! It’s humbling to admit that when we are in the tedious cycle of survival living, our unconscious selfishness is often the root of our despair and regret and each day feels like it’s devoted to serving ourselves. Scary reality and even depressing at times! But it doesn’t have to be this way. Personal goals are important and necessary to make but instead of only making a list of resolutions this year and commitments to personal goals that only serve self, I propose we create a revolution (a new and obvious social order in our culture and communities), to honor and serve God, by loving more even when it feels like we are just trying to survive the day; a conscious effort to show God’s love by loving others. Make time for them, no matter how busy you are. Help them or serve them in some capacity to make their life easier. Cook or clean for them. Smile at them and look them in the eyes. Sometimes a personal testimony is the most powerful form of belief we can offer people. I have been thinking about this topic for quite some time in anticipation to share how incredibly valuable my involvement with LIFE leadership has been over the years. I often get asked by critics that have known me a while why I am still involved with this company; somehow they still seem to think that this is just a business to me. I pray that this post clears up any confusion for those people. Anyone who has been involved for any length of time (whether it was during company changes and transitions or the launch in 2011) would probably agree that it’s rather challenging to put into words the impact this organization can have on your life over time. In fact, it’s been such a challenge to formulate this piece of writing because the real blessings are so intangible and hard to express in written form. I wanted to stay away from any sort of financial discussion because one of the misconceptions critics believe is that because LIFE leadership is a business, “money must be all they care about.” That couldn’t be further from the truth. While it is a very lucrative, successful company with hundreds and even thousands of members experiencing incredible financial success due to their influence in the lives of others, making money is certainly not the companies purpose. But, for those members who treat it and build it as a business they will achieve business results. But I digress. All you have to do is read Orrin Woodward’s highly popular blog or best-selling leadership books like The Leadership Train to understand the incredible business formula and system for LIFE leadership. The idea behind this article was not to talk about a business but to talk about a purpose. I believe the purpose of LIFE Leadership was organically developed years ago when a group of men and women bonded their convictions through years of struggle trying to create a better life for themselves in less-fulfilling projects, eventually realizing that the real meaning of their struggle came from serving others and helping people grow. Orrin recently tweeted, “A great life is the reward received when you give your life in service to others.” Now that sounds like a worthy cause and purpose! But even still, I have to wonder if Orrin Woodward and Chris Brady planned to create a company 20 years ago that might otherwise save people’s lives in the future? It’s not like we have the cure for cancer here – our products are books, CD’s, meetings and people! How could that type of commodity actually save lives? And yet, it has. 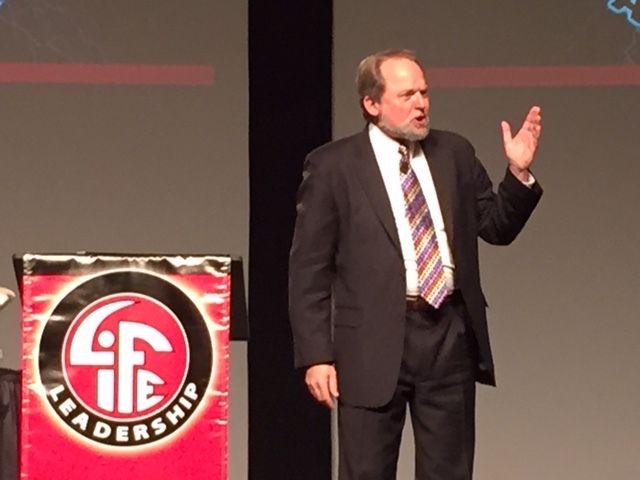 LIFE Leadership is built on a foundation of four important categories of development. Without these four components, a member will not experience the full value that someone like myself and many others have been able to experience over the years. Even the absence of one of these components can be detrimental to ones personal journey. Actually, because these are so important I thought that the most effective way to organize my writing would be to break down specifically through these categories how my involvement with LIFE Leadership has actually saved my life. Back in 2006 I picked up a book at a leadership convention titled The Purpose Driven Life by Rick Warren. I was young (about 20 years old), naive, a non-believer and very lost. No one had known at the time that I was struggling with an eating disorder, family challenges and other risky behaviors. I had always heard since day one of my involvement that reading was an important habit to develop if I ever wanted to be successful someday. I must admit, I was not a reader. In fact, it took me 2 years after getting involved to read a book from start to finish. This happened to be that book. The title of it caught my attention because at the time I had no sense of purpose. So what better way to discover something that was absent in my life than to gain wisdom from an author who may be able to help me. It did help me. In fact, I didn’t realize at the time that the first book I would ever read on my personal development journey would someday lead to my salvation in Jesus Christ. 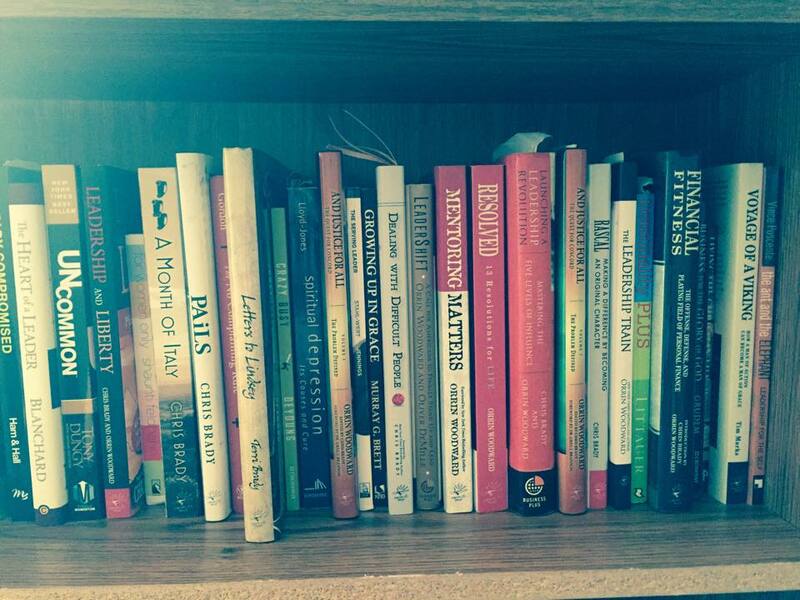 Over the years I have read hundreds of books across multiple categories of personal and professional development genres. LIFE Leadership prides itself on delivering some of the best published content in the market so that people like myself can foster the necessary skills to develop internally so we can help other people externally. I could probably write a book just on the impact habitual reading has had on my life. It is one of the most powerful but under-utilized tools to success. In fact, it is so powerful that the information in books can actually save your life. I know it did for me. Having always struggled with self-worth and control issues, I realized that the thoughts I constructed in my own mind were the most lethal form of self-destruction on my personal success journey. I knew that I would never become successful in anything if it was left up to my own thinking. I needed to change my thought process dramatically (not with the use of medication therapy, but through CD therapy). I became an audio-aholic listening to several CD’s a day just to keep myself out of my own head. Over the years that habit has created a hunger in me to want to share this information with everyone I meet. 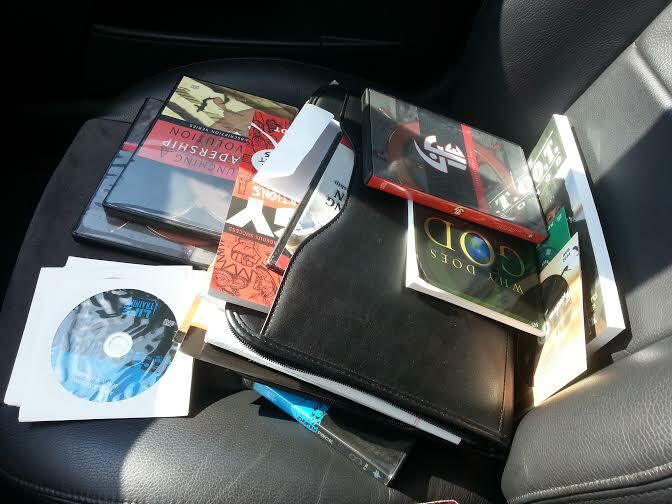 When people see stacks of audios in my front and back seats and in bins scattered everywhere throughout my car I am no longer embarrassed but proud of these resources. It is because of listening to these audios that I am still here today. In fact, my own bad thinking almost cost me my life; and listening was a direct path to saving it. When I first got involved with the community building industry that has now become LIFE leadership, I completely fell in love with the people. There is just something different about hanging around with people who have a passion to grow personally and who want to make a difference. As hard as it is to believe, there are a lot of people in the world who don’t care about these things. I learned very early that who I hung around with would directly reflect the results I would have someday. I have always wanted to become like the people I respect so I have made it a priority in my life to surround myself with people like that. Even today, the association is my favorite part of all four of these components. Why? Because it’s about relationships. It’s about bonding. It’s about developing lifelong friendships. It’s about community. Throughout this (already) two-year brain tumor battle if I didn’t have the LIFE leadership community I know for certain I would not be here today. Even through the most painful and challenging days I have looked forward to my Tuesday night meetings, monthly LIFE live seminars and quarterly leadership conventions. I believe having hope is about having something to look forward to even amidst the most difficult days of our lives. Not only do I have eternal hope in a life with Jesus someday but I have hope here on earth every time I get to associate with this incredible community of people. I always have something to look forward to. The relationships I have been able to foster among this organization has led me down paths medically I would have never had the opportunity to navigate. 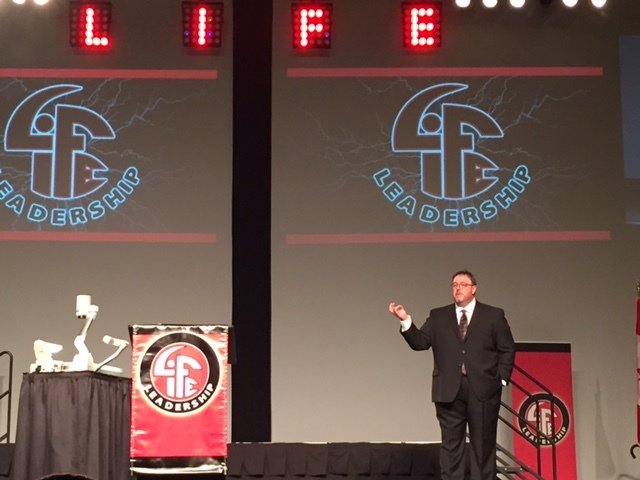 For those reasons alone, LIFE leadership has saved my life. 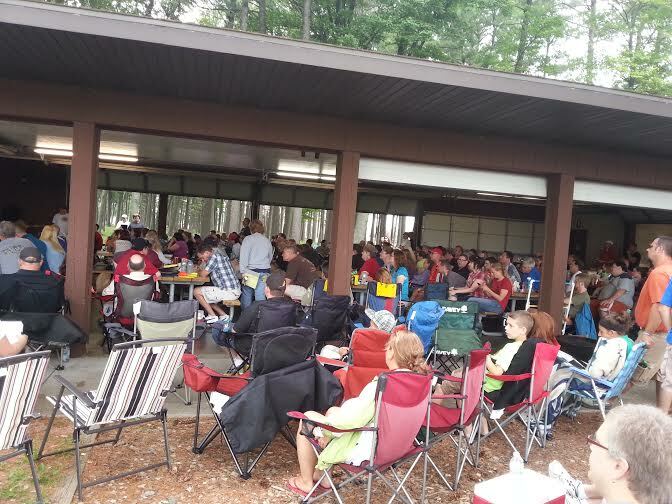 However, all medical aside, the association has also allowed me to discover a purpose that I never knew existed – offering people hope (in a Savior) while pursuing real lasting friendships with other believers as we all journey toward Heaven together someday. To think, this crazy community and association of leaders is influencing people for Jesus – and saving lives for eternity! The final component and I could argue the most important! Since I was a freshman in high school (15 yrs old) I have been blessed to have a mentor – someone who has been able to guide me not only in basketball (at the time) but also in life. 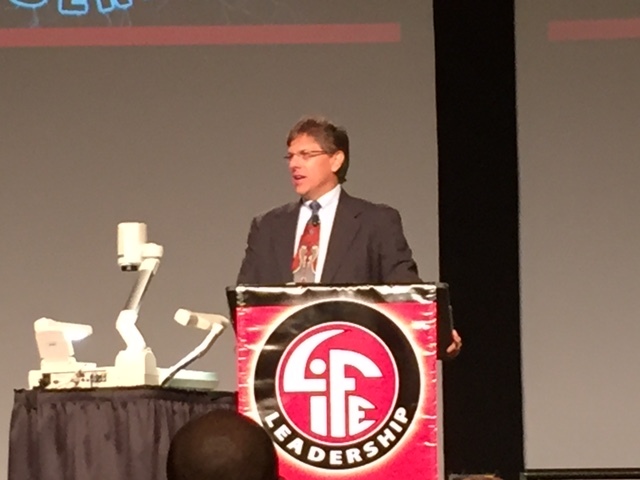 His name is Dave Chatmon and he is the direct reason I am involved with LIFE leadership today. He somehow convinced a very stubborn, shy but competitive girl to get involved in this industry at 18 years old that I would have never joined in a million years if it wasn’t for the trust I had in him. Today, I get to call him a business partner, a mentor and a friend. The wonderful mentors I have been fortunate enough to work with over the years in this company are a true blessing from God – specifically speaking in regards to Dave Chatmon, George and Jill Guzzardo and Orrin and Laurie Woodward. There is absolutely no way I would still be here today if it wasn’t for these men and women and their servant hearts. Mentors help behind the scenes in ways that friends are not even qualified to do – they take on some of the heaviest loads of pressure in our lives but offer love, support and constructive direction towards better decision making in all aspects of our life. If you have a mentor, never ever take them for granted. Your mentors are some of the most selfless, loving and wise people you will ever meet. These mentors that I have mentioned above have directly, in their own specific way, saved my life and I am forever grateful for them every day of my life. So there you have it. LIFE leadership may not the cure for cancer but it certainly is the cure for hopelessness. This is not just a business to me, this is my purpose – to lead people to truth and hope. It’s why I still do it. It’s why I will never quit until God calls me Home! It’s saved my life a countless number of times and I pray that it saves millions of lives (for Jesus) as we continue to share the message of leadership and truth across the world. How has LIFE leadership affected your life? Feel free to share in the comments section below.